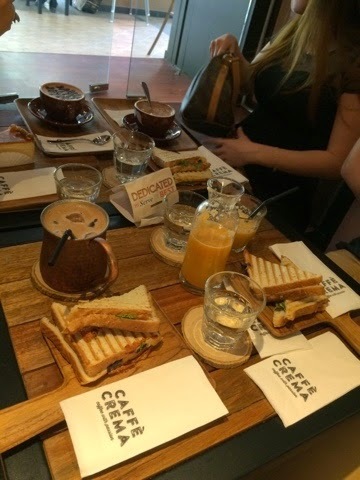 Went out with my sistersss and teacher today and decided to go try out Caffé Crema at Plaza Mont Kiara today. 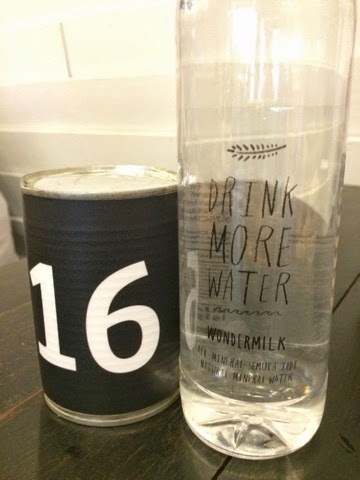 It was a quaint café located near the fountain of Plaza Mont Kiara. Due to its limited space, there are not much indoor seats, but lucky us there's still space caters for four. Thought of having brunch over there but there's only sandwiches left. If only they have more selections of food that will be really customer-friendly tho. 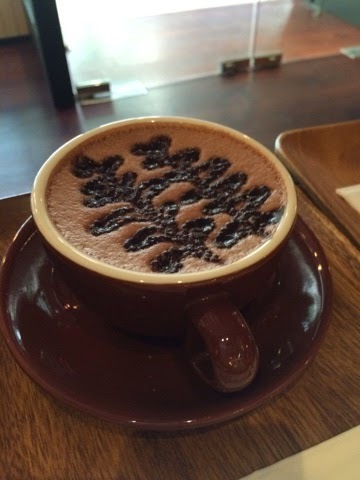 I like how the friendly waiters and natural relaxing wood interior of the café, with the black disc player playing soothing music in the background, I believe that's why there are so much customers around. 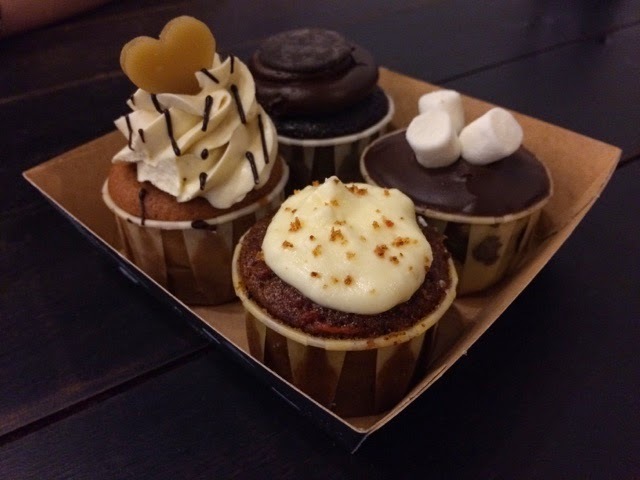 Later on we decided to hang out at Publika and went to Wondermilk for some tea break and I just can't stop myself from ordering those delicious cupcakes. Mo Better Butterscotch was da bomb!! !